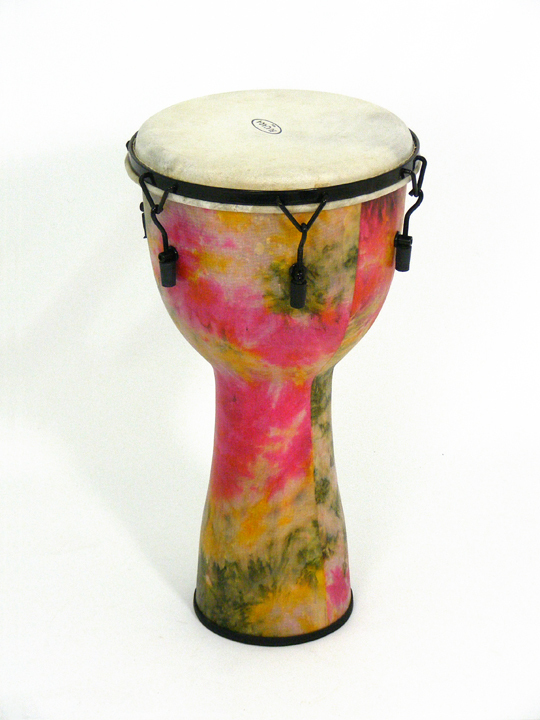 The Bolt-tuning on this Bucara Festival Djembe makes for easy tuning and head replacement. 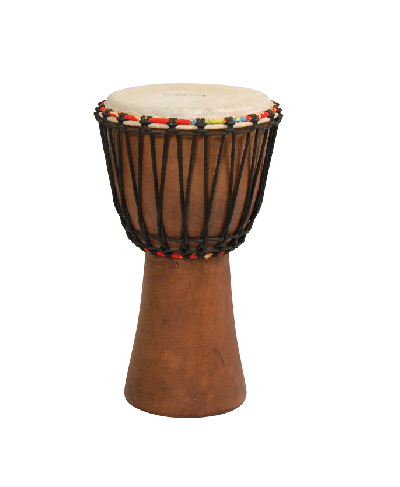 It is a highly durable, low maintenance, easy to play drum. 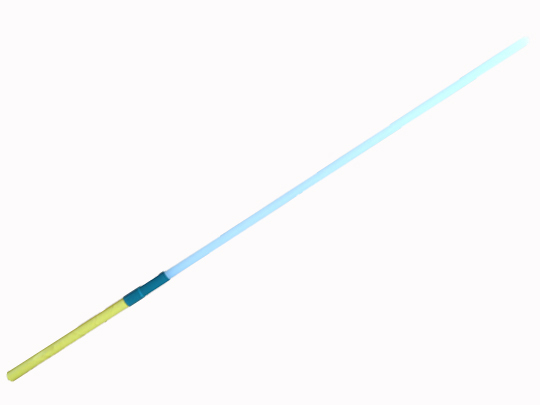 The fiberglass shell is covered with a brightly coloured, finished ‘sarong’ of fabric. Hand made to provide a fantastic, authentic African sound. Light, colourful and resistant to the elements, they are ideal for festivals, schools and those who do not want to carry a heavy drum. Goat skin head, bolt-tuned.